We are providing ID Card Designing and Printing Service to our client. 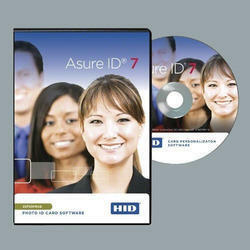 We are instrumental in providing our clients with a perfect quality Asure ID 7 Express Software. Asure ID Express is the ideal choice for organizations looking for an affordable and even easy-to-use stand alone photo ID card software with advanced card design and batch printing capabilities. Asure ID Express 7 is provided with user friendly design and is easy to operate. Asure ID 7 is built on the Microsoft .NET technology platform for greater stability and interoperability. Packaging Details: Software CD with Lic Key. We are the manufacturer of Id cards for various uses. We provide customized designs with high durability, flexible for School, Colleges & Corporates. We provide the printing on Various PVC ID cards as per the requirements of our esteemed clients. The ID Card Designing and Printing Service, offered by us is highly demanded by the clients owing to its excellent printing quality and flawlessness features. The provided service is performed by our highly experienced professionals using the best grade printing machine and advanced techniques. Further, we offer this service to our valuable clients at budget-friendly prices. 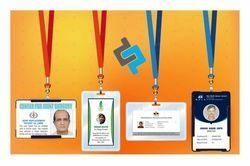 Looking for “ID Card Designing and Printing Service”?